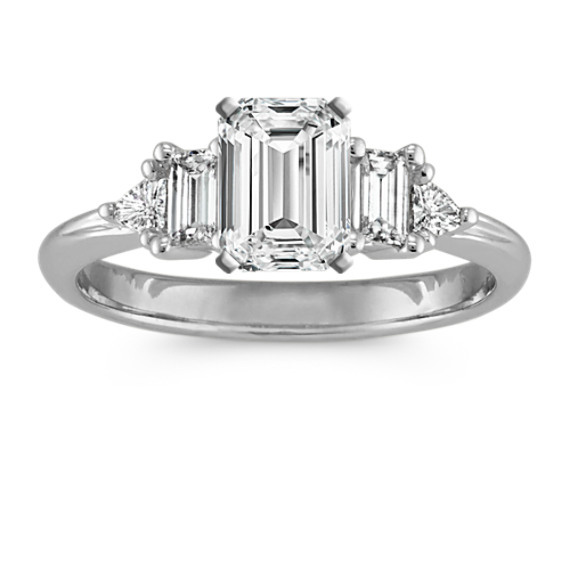 Three-Stone Baguette 14k White Gold Engagement Ring with Trillion Diamonds | Shane Co.
Sophisticated elegance defines the look of this dazzling diamond engagement ring. Two baguette diamonds, at approximately .20 carat TW, and two trillion diamonds, at approximately .08 carat TW, come together to form a unique and distinctive look. These hand-matched stones are set in superior quality 14 karat white gold with a total gem weight at approximately .28 carat.